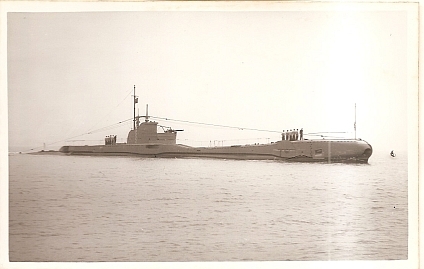 Welcome to the website for the Triumph Association, which has been formed to carry out a search for the T-Class submarine HMS Triumph, lost somewhere in the Aegean in January 1942. We have been actively looking for Triumph for the past three years (and less actively since 1980! ), and this website tells Triumph's story, and the story of the search so far. During the second world war some 40 British submarines were sunk in the Mediterranean. Many have been found, but Triumph's position is not known. We believe that this is not acceptable in an age of cheap sophisticated sonar, and so have set out to narrow down her position, and carry out a search. The physical and financial problems of doing this are large enough, but we also have to accept and work within the rules for archaeological and marine research laid down by the Greek Government, which are, if anything, more challenging! But not impossible, happily. So, we are steadily working on all fronts to plan and get approval for a search. This website tells the story. One of our aims is to reach and contact descendants and relatives of the crew of Triumph. A crew list (with next of kin as of January 1942) is within this website. If you are a relative or descendant, or a friend, of a crew member please get in touch with us. Looking forward, when we have found Triumph we plan to hold a memorial service at her wreck site, and we would like as many of her crew's descendants to be there as possible. Before then we would like to hold a memorial service at the National Memorial Arboretum at Alrewas in Staffordshire. Searching for Triumph is expensive. The Association has so far been funded by donations from its founder. If you would like to contribute (there is no requirement) then any donation would be most welcome. If you would like to join the Association please tell us on the contact form. Membership is £20 per year. Fill in the contact form if you want to take part. Site design and content copyright © 2011-2019 HMS Triumph Association, all rights reserved.